INDIANAPOLIS (June 14, 2017) — Klipsch®, a tech-driven audio company, today announces its renewal of a multi-year strategic partnership with the legendary Rock & Roll Hall of Fame to preserve and celebrate the live music experience. In 2015, Klipsch became the first-ever presenting sponsor of the Rock & Roll Hall of Fame Induction Ceremony, which honors the pinnacle of musical achievement, and gives a voice to the stories of the people and events that have shaped the music genre. The 33rd annual Rock & Roll Hall of Fame Induction Ceremony presented by Klipsch Audio is slated for April 14, 2018 at Cleveland’s Public Auditorium. “Our sole purpose at Klipsch is to reproduce the power, detail, and emotion of the live music experience. Together with the Rock Hall, we can ensure that music and its history are valued for generations to come,” said Paul Jacobs, president and CEO of Klipsch Audio. 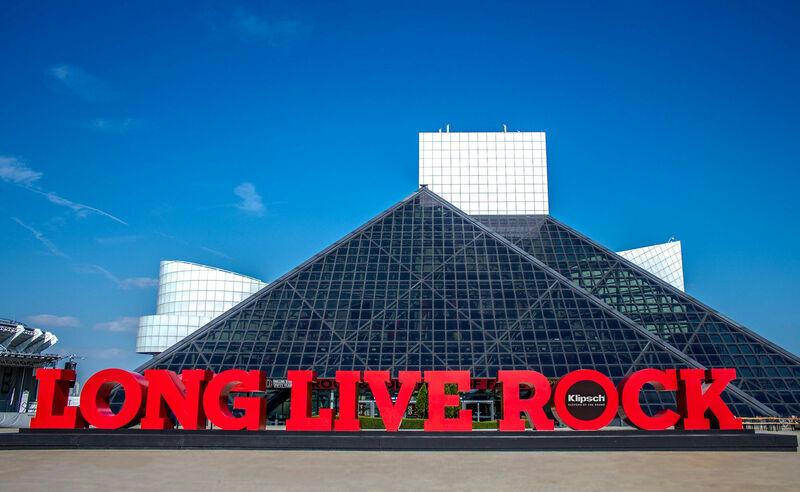 The Rock & Roll Hall is an iconic destination in Cleveland, Ohio that celebrates and preserves the history of influential artists, producers, engineers, and other notable figures who have had a major influence on rock and roll music. The Rock Hall, which is undergoing a multi-year transformation, features the largest installation of Klipsch professional and commercial loudspeakers and headphones on the planet. New exhibits such as the Power of Rock Experience, a redesigned outdoor plaza, and an interactive outdoor sound experience are being added to existing theaters and exhibits. The Klipsch Audio Stage continues to host some of the most buzzed about bands in the world in addition to hundreds of performances each year. More recently, the Rock Hall and Klipsch introduced Revolutions, a branded content video series that explores records that have altered and influenced the music world. Albums featured in the series thus far have included releases from The Beatles, Pearl Jam, Jimi Hendrix, Nirvana, The Ramones, and others.